Ignitia is a versatile online Christian curriculum and learning management system with dynamic, Christ-centered lessons and interactive features designed to serve teachers and students in elementary, middle, and high school. With customized learning that allows students to learn at their own pace and in their own style, it should be no surprise that students who use Ignitia online curriculum, whether in an individual learning or classroom environment, show increased productivity, improvement in their grades, and greater enjoyment in their academic pursuits. Ignitia lessons include more than 50,000 multimedia elements like interactive games, audio and video clips, external web links, and off-computer assignments. 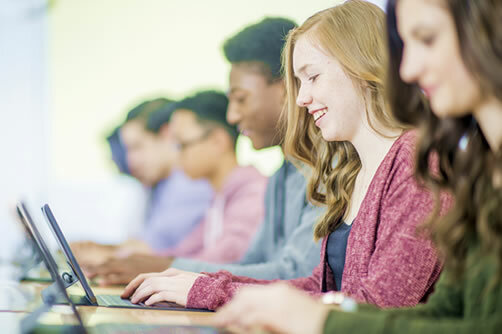 In addition, time-saving tools for teachers include automatic grading and lesson planning, a convenient internal messaging system, and real-time reporting tools. Ignitia’s inviting student experience features easy-to-use navigation, handy notes tools, inventive day-planning functions, and enhanced flexibility to suit any student’s learning style. Meanwhile, teachers have access to concrete data that allows them to easily monitor student progress. Schools see significant savings when implementing Ignitia over purchasing print materials. With Ignitia, schools purchase affordable licenses to be used as a complete curriculum option or to meet students' specific needs for credit recovery, extra electives, specific classes for graduation requirements, and more. Inspirational and practical, Ignitia's Bible curriculum for grades 3 through 12 helps students connect biblical teachings with real-life situations to form a firm foundation for living. Courses within this online curriculum cover a wide range of topics to help students develop an understanding of the Bible, its principles and lessons, and practical applications of God's Word as they learn and grow. From the basic theology and the attributes of God to biblical literature and geography, students explore the Old and New Testaments through interactive instructional materials. Select a grade from the list below to download the Ignitia Bible Scope and Sequence in PDF format. Ignitia's online curriculum offers students in grades 3 through 12 a comprehensive look at history and geography from a biblical perspective. The courses in this discipline provide a wide range of categories including geography, history, citizenship, economics, and social studies. Special topics like career preparation and finance management also are included. Select a grade from the list below to download the Ignitia History & Geography Scope and Sequence in PDF format. Ignitia's language arts and English courses promote literacy in all areas of communication including reading, writing, listening, and speaking through interactive lessons infused with God's Word. 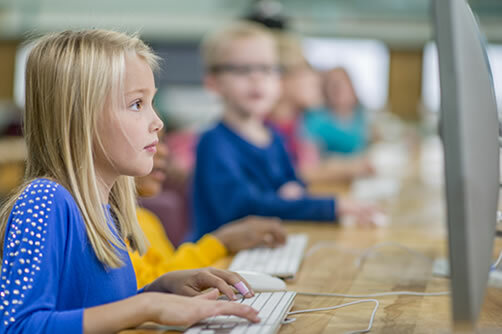 Students learn from online lessons, assignments, and assessments that support lifelong communication skills with an emphasis on essential skills including vocabulary, spelling, comprehension, penmanship, composition, and grammar. Instruction for upper grade students includes literature studies and the Bible as literature, the development of research and reporting skills, and visual media. Select a grade from the list below to download the Ignitia Language Arts Scope and Sequence in PDF format. Ignitia math takes students from the basics of simple arithmetic to complex problem solving as they advance from grade 3 through grade 12. Courses include online lessons and practice, fun learning games, challenging assessments, and creative problem solving. Throughout the courses, students strengthen critical thinking skills and learn to apply mathematical concepts to real-life situations to come up with practical solutions. Select a grade from the list below to download the Ignitia Math Scope and Sequence in PDF format. Ignitia's Bible-based science courses explain God's relationship with the physical universe, while developing students’ observation skills. As they advance from science basics to more complex topics in science, students study a wide range of scientific disciplines, including biology, chemistry, life science, space, physical science, and nature. Select a grade from the list below to download the Ignitia Science Scope and Sequence in PDF format. Select a grade from the list below to download the Ignitia Science Supply List in PDF format. Ignitia electives allow students to explore subjects the pique their interest, deepen their knowledge, and create a more well-rounded education. Available for students in grades 3-12, Ignitia electives offer a concentrated focus in specific disciplines. Choose from subjects that include world languages, history, literature, math, science, geography, health, civics, and more. Download a complete, at-a-glance listing of Ignitia’s course offerings, including AP electives and over 40 career courses. View the scope and sequence for an in-depth look at unit titles for all general courses and electives. Find contact information and practical resources that cover Ignitia's features and functions for teachers, students, and parents. With a wide variety of features, Ignitia supports academic achievement among diverse learners, while equipping teachers with practical instructional support tools of their own. A powerful learning tool, Ignitia Writer encourages practice and revision by providing students with individualized feedback during the essay-writing process to improve composition, spelling, and grammar. It also saves teachers valuable grading time as they review student work. Ignitia’s collection of more than 250 direct instruction videos helps students gain a conceptual understanding of key math skills. The videos offer step-by-step guidance applicable in a group or individual setting, as well as blended learning environments and flipped classrooms. Connect parents to maximize student learning. With Ignitia, it’s easy for Christian school administrators to set up and link a parent profile to a student’s Ignitia account, allowing parents to view student grades, lesson plans, and academic progress. With the help of Ignitia’s Teacher Authoring Tool, educators are free to blend material from existing Ignitia courses or create something completely new. Teachers can customize a lesson, project, quiz, test, or even an entire course. Pretests before each unit assess a student’s understanding of course concepts and determine whether to assign coursework from that unit or move on to the next. Flex assessments also allow teachers to manually skip questions, assignments, or entire lessons. Ignitia’s intuitive teacher dashboard provides visual reports of student progress for individuals, as well as a comprehensive view of all students, so teachers can quickly identify at-risk students and export reports to share with students, parents, and administrators.